Welcome to NC State’s Jenkins MBA program! Congratulations on taking this exciting step in your career. We look forward to getting to know you and your aspirations. As a Jenkins MBA student, you’re joining more than 30,000 current NC State students who call themselves part of the Wolfpack. With a diverse student body, accessible faculty members and a rigorous learning environment that fosters teamwork and collaboration, your pack members will soon feel like family. 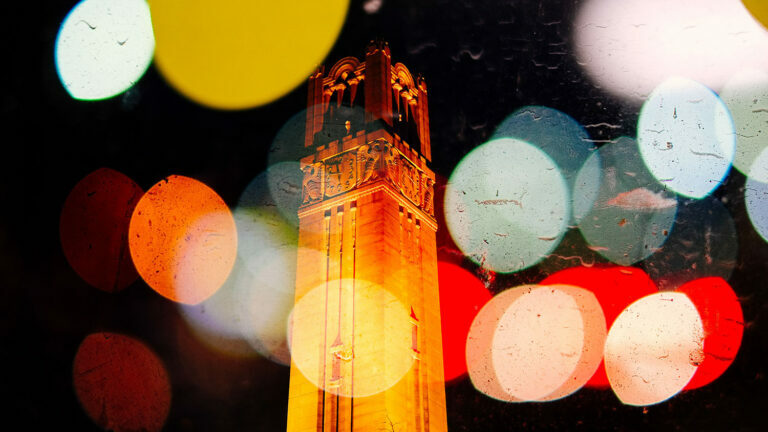 Nestled in the heart of one of the world’s top-five emerging tech hubs, NC State’s prime location adds to the educational experience by connecting you to an epicenter of research, industry, technology, culture and education. A range of opportunities means you may become involved in everything from student organizations and professional leadership development to research, internships and more. The combination of affordability and something I could realistically fit into my life was what drove my decision to choose NC State. Review information for Full-time MBA students admitted to start Fall 2019.
Review information for Professional Evening MBA students admitted to start Fall 2019.
Review information for Professional Online MBA students admitted to start Fall 2019.